Thank you for your interest in Enoteca Turi! 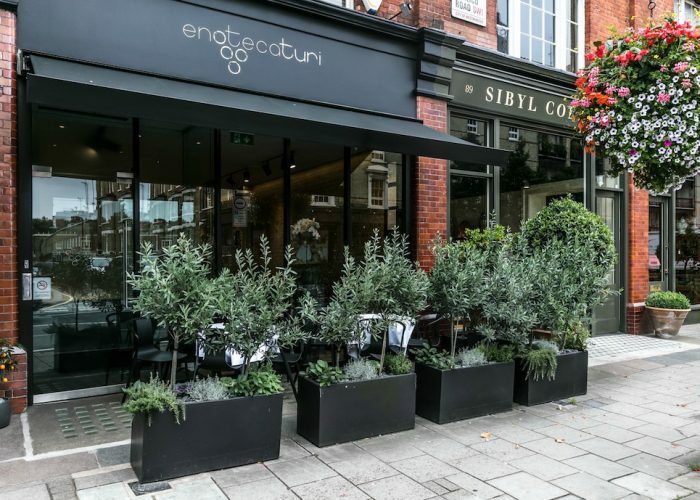 Enoteca Turi is an independent Italian restaurant in Central London specialising in authentic regional Italian cuisine, with traditional ingredients that are in season and at their best. 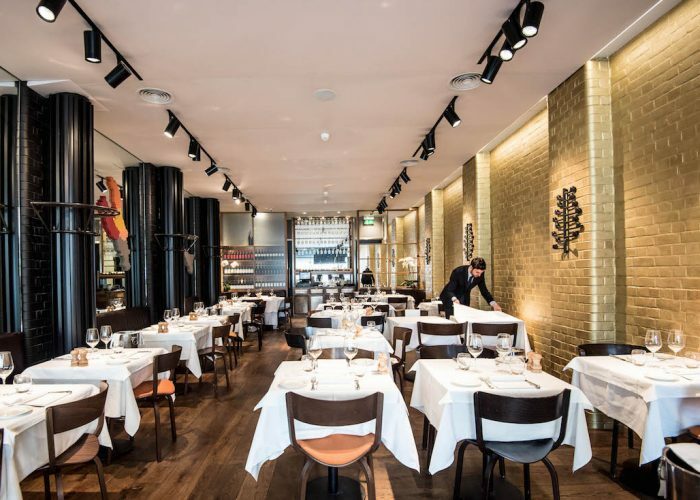 The restaurant won Harden’s Wine List of the Year 2017. 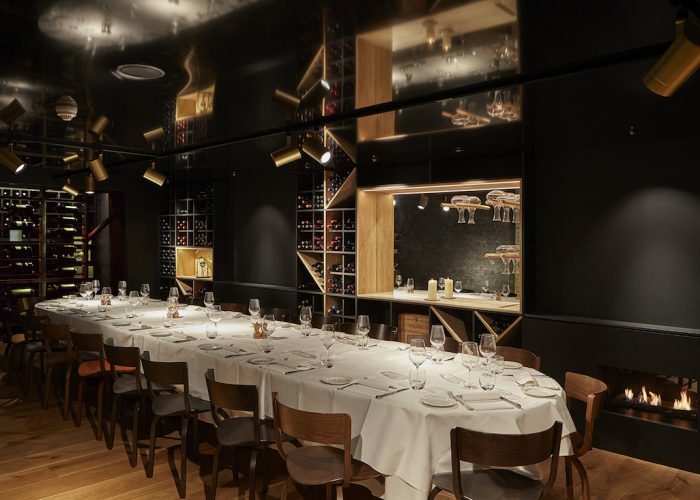 The private room at Enoteca Turi is located in the downstairs wine cellar. 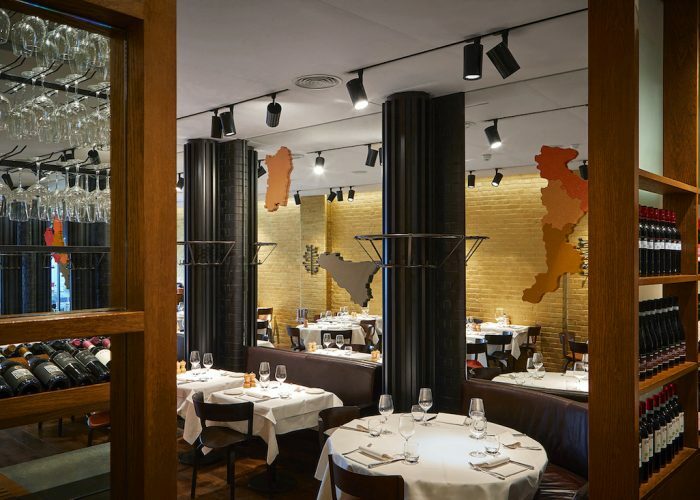 The walls are lined with Italian wines from the 400+ bottle list. Along one entire side sits two stunning fireplaces which can be lit in the winter, with mirrors above to give added depth. The ceiling is acoustic to ensure the perfect ambience for both parties and intimate dining. Along the stairs is a gold painted brick wall which illuminates the spaces whilst the black walls make it cosy and familiar. 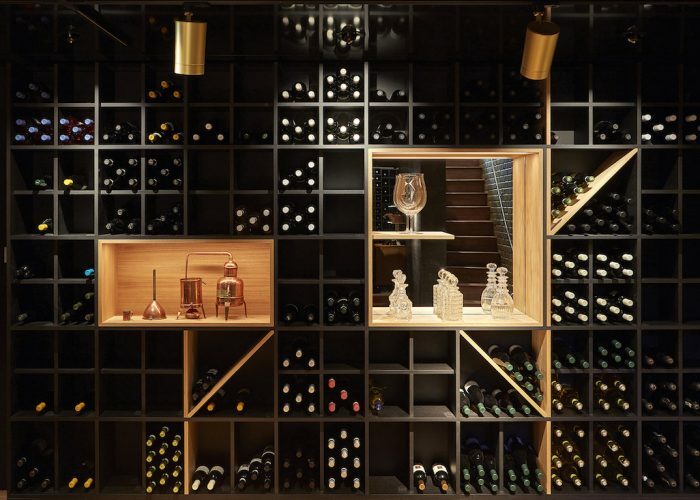 At one end is a glass screen holding bottles behind which is a temperature controlled wine cellar for storing old vintages, magnums and double magnums. 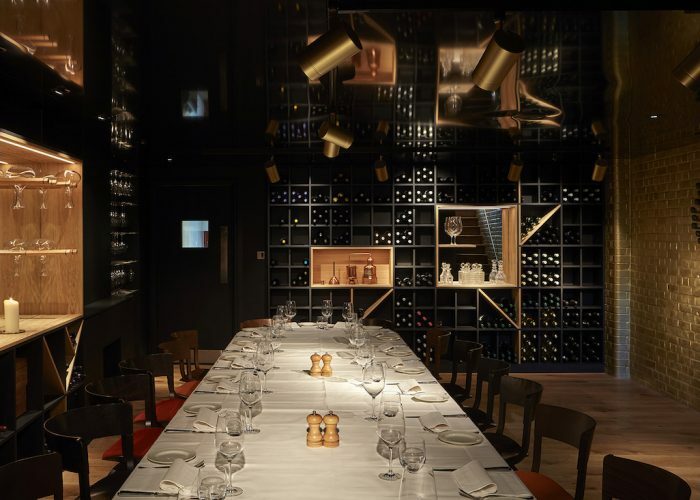 The dining room takes up to 28 people on one long oval table or up to 25 people on separate tables. Menus can be tailor made to your requirements with a choice of up to four dishes for each course. Additional options include canapés, pasta or cheese courses. A typical three course set menu for a private party would cost £48.50 per head. Please see website for full menu details. Minimum number for guests for the whole room is 18 – for smaller numbers hire fees may apply. A section of the room may be booked for smaller parties and still maintains privacy.